Life is weird. I mean, you only get one life… One chance… And you better not screw it up. So it would be pretty cool if we could find the instruction manual, and follow it step-by-step. Otherwise you could fail, right? No! This is your life, and there is no instruction manual. There is no perfect way to live your life. There is no set process for each and every stage or experience in your life. Sometimes things don’t go as planned. Sometimes something will just randomly pop up. Sometimes things totally turn around when you least expect it, and all of a sudden you’re doing something totally different that you would never have seen yourself doing in 100 years. But that’s just how life goes. It’s weird. Deal with each new thing as it comes, and don’t worry about what’s going to happen in the future. Live in the present, and enjoy the little moments that you’re faced with. Don’t miss out on a chance to be excited about a new exciting and, yes, sometimes scary experience that’s happening. Even if it is something that’s not ideal or the perfect situation. Remember, this is an ever-changing, real, live-action life. This is not a movie set with a script to follow or an instruction manual to make sure we all do exactly as it says… the same. If everybody had the same life, why or how would we enjoy being a part of it? It would be boring… it would be monotonous… it would be this day after day routine with everybody else doing the same thing. I know I don’t want that, and you probably don’t want that, either. So when things don’t go as planned, or if life gets off-track a little bit, or you are taking a huge U-turn, just remember that this is your very own special and unique life! There are so many different things that are going to happen in your life, and you just have to be ready to adapt. Expect there to be change. Expect there to be challenges, obstacles, and struggles… there will always be struggles! The “perfect life” is the life paved out in front of YOU with all the twists, turns and bumps. Your reaction and how you take action to these difficult times or exciting new experiences is your choice. What’s it going to be? Are you going to sit there and dwell on the negative things that do happen and think that somebody else has it better? Or are you going to take that situation as it is and just go with it, making it into your own? Man, life is weird. But it would be so much weirder if we all had the same life. 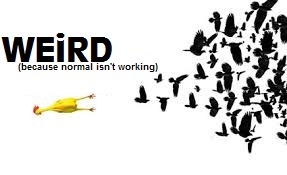 Embrace the weirdness, and be happy that you aren’t experiencing other people’s weirdness! 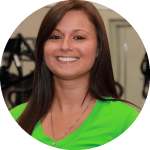 Ashley came to Impulse as a graduate of Bowling Green State University with a degree in Exercise Science. Her focus and attention to detail allows her to coach correct form allowing for a better quality and more effective workout. Her mission is to educate you on the importance of taking the proper steps to a healthy lifestyle regardless of where you are starting at. Ashley will encourage you to realize your true potential and assist you in safely achieving your individual goals. She would like to help you become the best you yet! ARE YOU READY TO COMMIT TO YOUR HEALTH?